German ultra runner Anne-Marie Flammersfeld (37) has broken the female speed record on Kilimanjaro. 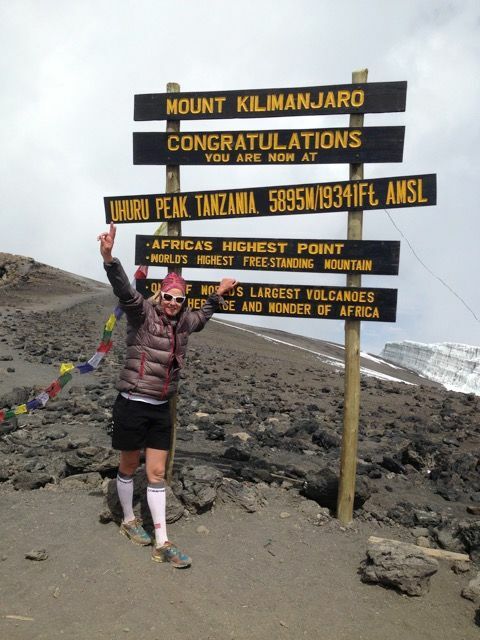 The UVU athlete took 8 hours and 32 minutes to reach the top of Kilimanjaro, Uhuru Peak (5895 meters), smashing the previous female speed record held by Brit Becky Shuttleworth by three hours. In 2017, Brazilian Fernanda Maciel smashed Flammersfeld’s record by over an hour, recording an ascent time of 7 hours 8 minutes. Amazingly this was beaten again in February 2018 by Danish ultra-runner, Kristina Schou Madson who set an astounding record at 6 hours 52 minutes and 54 seconds, read more about the record here. Flammersfeld, a sports scientist by profession, used the shortest and steepest route for the record attempt – the Umbwe Route, which is around 30km in length and 4,200 meters of positive height. “This route is mandatory if you want to set a new record,” says Flammersfeld. Starting in the rain forest, the Umbwe route turns quickly into alpine terrain, with the last 1000 meters having to be climbed on rocks. Flammersfeld started at 5:20 am in the complete darkness of the rainforest. The first stage and second stage of the climb from Umbwe gate to Umbwe Cave Camp and onto Barranco Camp went extremely well for the UVU athlete. “I ran surprisingly fast on the first 2000 meters and was delighted when I passed halfway mark after 3 hours and 30 minutes.” said Flammersfeld. “From Barranco Camp at about 3900 meters to Arrow Glacier Camp at 4900 meters I could feel the thin air for the first time and I slowed down a bit. When I reached the 5000 limit the altitude hit me in a brutal way. 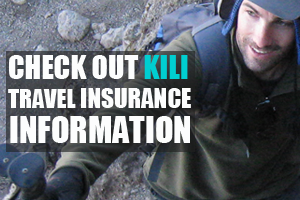 Every step was tedious and the altitude was just extremely stressful”. The last few kilometers were not easy for the sports scientist, each step had to be carefully considered and after every 100 steps Flammersfeld said she had to rest to drink and breathe. 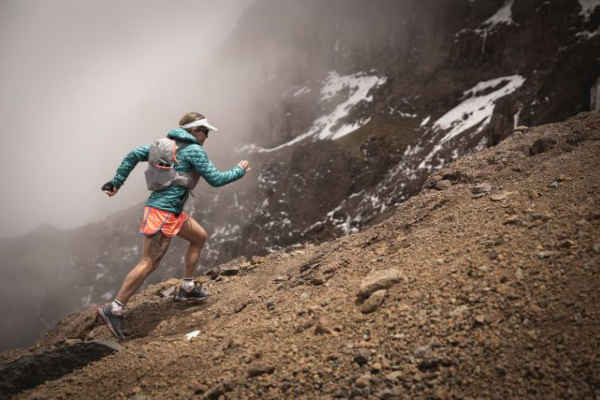 At 1:52pm the ultra runner reached the summit and set a new female speed record on an ascent on Kilimanjaro. She jubilantly expressed her feeling: “When I finally reached the summit, I was overjoyed, but also wanted to run down as soon as possible!”. Her decent down to Mweka Camp took 4 hours and 26 minutes, undercutting the previous female ascent and descent record held by Debbie Bachmann (18h31min). Flammersfeld was supported by a team of guides from Trekili who were waiting respectively after 1,000 meters above sea level at the camps to supply her with water and some food. Flammersfeld acclimatised for the speed run a few days previously by reaching the summit of Mount Kilimanjaro in four days over the Umbwe route along with two Italian friends, Giuseppe Milanesi and Alessio Piccoli. 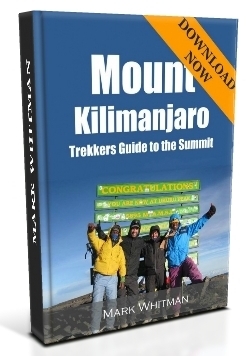 Together they did the “Bottom Up Climbs Seven Volcanic Summits” project. 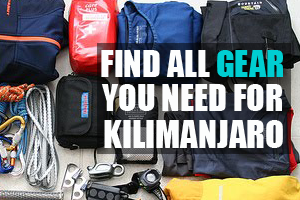 The project aims to achieve the highest volcano summit on every continent. Anne-Marie Flammersfeld is the first woman to win the “Racing the Planet 4 Deserts Series”, where she ran 250kms through the driest, windiest, coldest and hottest desert on earth. Flammersfeld is also an ambassador for the Foundation Paulchen Esperanza, which helps disadvantaged children in Argentina, Tanzania and Sri Lanka. You can find more information about Anne-Marie Flammersfeld and her projects here.